821 Collision understands that you rely on your vehicle to move you through life. If you have been involved in an auto collision, odds are your routine schedule has been drastically interrupted and you need to arm yourself with a reliable collision repair facility to get you back on the road in a “nick of time”. 821 Collision is here to help. We understand how stressful your auto collision can be and we work diligently to make your vehicles auto body repair as smooth as possible. Leave your vehicle with us and leave that stress behind! 821 Collision will work with directly with your insurance company on your behalf, managing the claim to ensure you peace of mind. We have been in the auto body repair business for over 30 years and our specialists only use the highest quality parts and materials to repair your car. It’s fast! We work hard to repair your car in a timely fashion to return it to you so your life can get back to normal. Avoid the stress and the disruption. 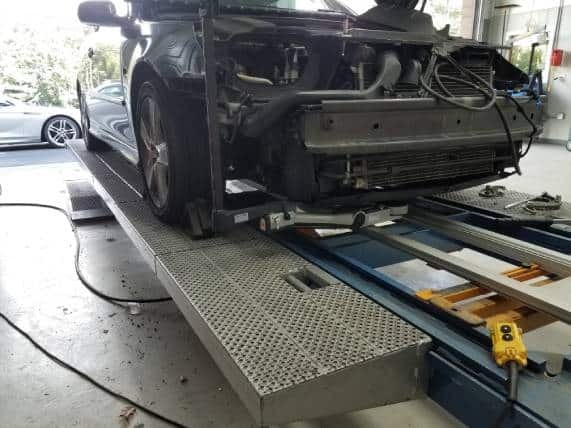 Leave it to the experts at 821 Collision who have the knowledge and technical expertise to know which parts, materials and repair procedures are necessary for the proper and safe repair of your vehicle. Contact us today to for your free estimate or to schedule a repair.